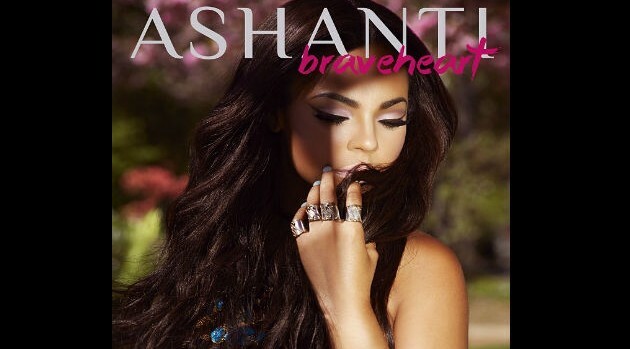 Courtesy of Ashanti’s InstagramFor the third time, Ashanti has switched up the cover for her long-awaited album, Braveheart. Unlike in her earlier warrior-inspired artwork, Shani shows her softer side as she poses with eyes closed and a lock of hair between her fingers in the close-up image. “Official Braveheart Cover,” the singer writes in the caption on Instagram. The disc will include collaborations with Rick Ross, Future, R. Kelly, Beenie Man, and Busta Rhymes and production from Jerry Wonda, Detail, and Sak Pase. The singer also posted a behind-the-scenes look for her upcoming video for “I Got It,” featuring Rozay, which will premiere in coming days. Braveheart is available for pre-order via Amazon.com. It will be released on February 18.